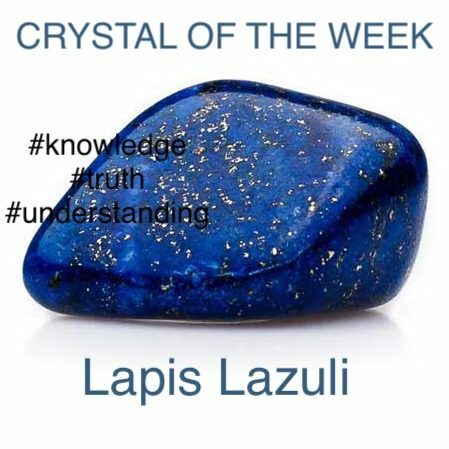 Crystal of the week Lapis Lazuli is a powerful crystal for activating the higher mind and enhancing intellectual ability. It stimulates the desire for knowledge, truth and understanding, and aids the process of learning. It is excellent for enhancing memory. A stone of truth, Lapis encourages honesty of the spirit, and in the spoken and written word. Wear it for all forms of deep communication. It is also a stone of friendship and brings harmony in relationships. A Lapis grid brings calm and loving communication for a home with temperamental teenagers, or children with Asperger's syndrome, autism, or attention-deficit disorder.